Dr. Vivian Kafantaris is a nationally recognized expert in the treatment of children and adolescents with bipolar disorder. 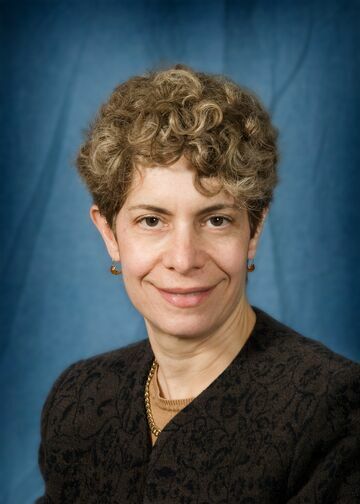 She and her team have designed and completed several NIH-funded randomized controlled treatment trials in children and adolescents with bipolar disorder and attention deficit hyperactivity disorder. Dr. Kafantaris has a longstanding interest in developing evidence-based treatments for children and adolescents with severe psychiatric illnesses. She has more than 20 years of experience in the conduct of clinical trials in children and adolescents and has published extensively on the use of lithium in adolescents with bipolar disorder and the efficacy of other mood stabilizers for the treatment of non-bipolar aggression. Dr. Kafantaris’ main research focus is the pharmacological treatment of bipolar disorder and the related area of severe dysregulated aggression associated with conduct disorder or oppositional defiant disorder. More recently, she became intrigued with the neurodevelopmental underpinnings of bipolar disorder and completed a published study using diffusion tensor imaging to investigate white matter abnormalities and their neuropsychological correlates in adolescents with bipolar disorder. She continues to be fascinated by how a simple element, lithium, can be a life-changing treatment for some patients. She is planning a study that will use structural MRI to examine whether early biological changes associated with lithium treatment, such as increases in hippocampal volume, can help better understand how lithium works and help identify the young patients who are most likely to benefit. Children and adolescents ages 7-17 years old diagnosed with Bipolar I Disorder-manic or mixed phase who can be treated on an outpatient basis are eligible to participate in this multi-phase, placebo-controlled study of the long-term efficacy and safety of lithium treatment. Participants will be monitored closely by an experienced team. This study is funded by the National Institute of Child Health and Development (NICHD). Children ages 6-12 years with a diagnosis of Attention Deficit Hyperactivity Disorder and either Oppositional Defiant Disorder or Conduct Disorder whose aggression or behavioral dyscontrol has not resolved on an adequate trial of stimulant monotherapy are eligible for screening. Participants will receive open treatment with an optimized dose of stimulant and parent training sessions with a research behavior therapist. If aggression remains a significant problem the child will be randomly assigned to have either divalproex sodium (Depakote), risperidone (Risperdal) or placebo added to their stimulant. The study includes regular medical and behavioral symptom monitoring by a child psychiatrist and a clinical child psychologist. This study is funded by the National Institute of Mental Health (NIMH). Parents/guardians of children ages of 5 to 12 years old diagnosed with ADHD are recruited for this study. The aim is to improve ADHD medication adherence by helping clinicians more effectively communicate with parents and address specific barriers to treatment compliance. This study is funded by the National Institute of Mental Health (NIMH). Children and adolescents (age 4-19 years) who start clinically decided antipsychotic treatment are followed in an observational cohort study design to assess the risks and benefits of these medications under real world conditions. Effectiveness, adverse effects and clinical and biological predictors of these effects are studied. Children and adolescents (age 8-17 years) who have gained at least 10% of their body weight over the past 12 months on an antipsychotic and who are overweight are randomized to up to 6 months of open treatment of a) healthy lifestyle instruction alone or b) addition of metformin or c) a switch to a lower risk antipsychotic. Children and adolescents (age 10-19 years) who are either starting antipsychotic treatment for the first time ever, or who have gained at least 10% of their body weight over the past 12 months while treated with an antipsychotic are randomized to 3 months of open treatment of a) healthy lifestyle instruction alone or b) addition of metformin. Children and adolescents (age 12-18 years) who have a clinical diagnosis of a mood or psychotic disorder are interviewed to comprehensively characterize their psychiatric problems and followed in an observational cohort design to assess symptomatic and functional outcomes over time. Kafantaris V, Leigh E, Hertz S, Berest A, Schebendach J, Meyer Sterling W, Sunday S, Higdon C, Golden NH, Malhotra A. “A placebo-controlled pilot study of adjunctive olanzapine for adolescents with anorexia nervosa.” J Child Adolesc Psychopharmacol , 21: 207 – 211, 2011. Not NIH Funded. Coletti, DJ., Pappadopulos, E., Katsiotas, NJ., Berest, A., Jensen, PS., and Kafantaris, V. “Parent perspectives on the decision to initiate medication treatment of ADHD.” J Child Adolesc Psychopharmacol 22: 226- 237, 2012. PMCID: Journal in Process. Findling R, Kafantaris V, Pavuluri M, McNamara NK, Frazier JA, Sikich L, Kowatch R, Rowles BM,Clemons TE, Taylor-Zapata P. “The post-acute effectiveness of lithium in pediatric Bipolar I Disorder J.” Child Adolesc.Psychopharmacology, (in press).